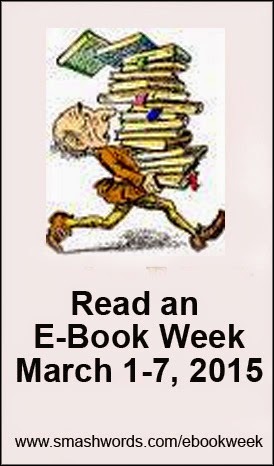 Smashwords: Read an Ebook Week 2015 Kicks off Today! 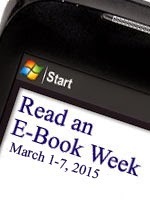 The annual Read an Ebook Week celebration kicks off today. 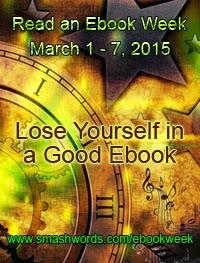 Smashwords is again sponsoring the event for the seventh year running. Readers and Authors: The official Read an Ebook Week hub page is at Smashwords and offers access to banners, buttons and badges you can post on your web site, blog, Facebook, Pinterest and other social media outlets to celebrate your participation in this event. I've also added the banners at the bottom of this post. The hub page features links to promotional or free catalogs to make it easier for readers to find books. Currently I have links to the Smashwords RAEW catalog, an iBooks catalog of free books, and a link to free books at Barnes & Noble. Authors: To enroll your book(s) in the promotion, click to https://www.smashwords.com/dashboard/sitewidePromos or click the "Authors, add your books to the promotion" button on the Smashwords home page. You can enroll in the promotion at any time before it ends. 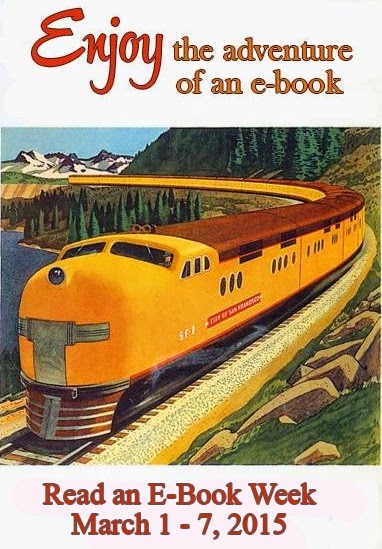 Books already priced at free are automatically included. The Story Behind Read an Ebook Week: Read an Ebook Week was created by Canadian Smashwords author Rita Toews. 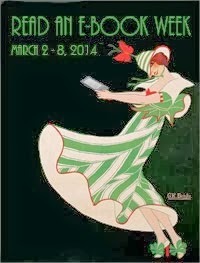 If you're interested to learn the story behind her creation of Read an Ebook Week, read my 2010 interview with Rita over at The Huffington Post . Please note that the prior web address mentioned in the interview, www. ebookweek.com, is now controlled by a squatter and is not associated with this promotion, so please don't link to or promote the old address. The Smashwords RAEW page at www.smashwords.com/ebookweek is a better option, and has Rita's blessing. The official Read an Ebook Week Facebook page, operated by Rita, is at https://www.facebook.com/pages/Read-an-E-Book-Week/193882590629749 Show your support for RAEW by "Liking" it on Facebook and sharing it. Enroll all of your books. Make it enticing for readers to add all your books to their shopping cart. Promote your involvement across all your social media outlets. Have fun! Download your favorite official RAEW buttons, banners and badges, and like stickers, stick 'em everywhere virtual sun shines - Facebook, Twitter, your web site or blog, Tumblr, wherever you connect with your fans. Link the images to your Smashwords author page (you'll find the link in your web browser by clicking on "Profile" at Smashwords) so it's easy for readers to add your books to their shopping cart. Invite your writer friends to enroll in the promotion, and encourage them to promote their books to their fans. 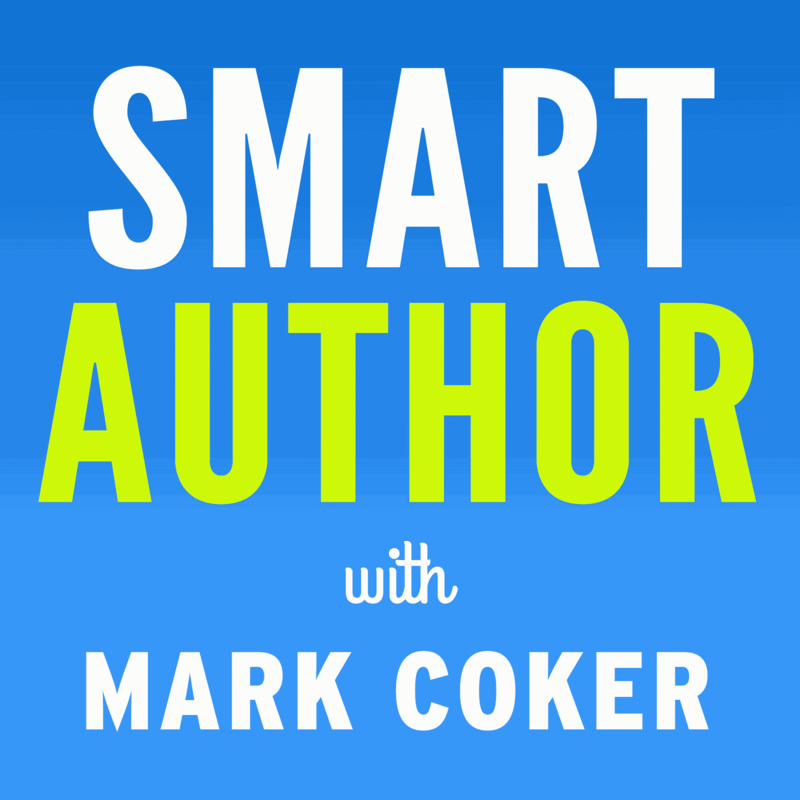 Every author has the ability to draw more readers to the promotion, and the more readers the more sales and downloads for all the participating authors. In other words, the more authors that participate, the greater the benefits for all the participants. Promote a favorite indie. If your favorite indie author has books in the promotion, promote their books to your fans as well. If they don't have their books in the promotion, invite them to participate so you can share your love of their books. Have fun! Here are the official banners and badges you can use in your promotion. Thank you Rita for creating these! I was just thinking last week that it should be getting time for RAEW. I would have let my readers know it was coming but I just put the word out on my site.